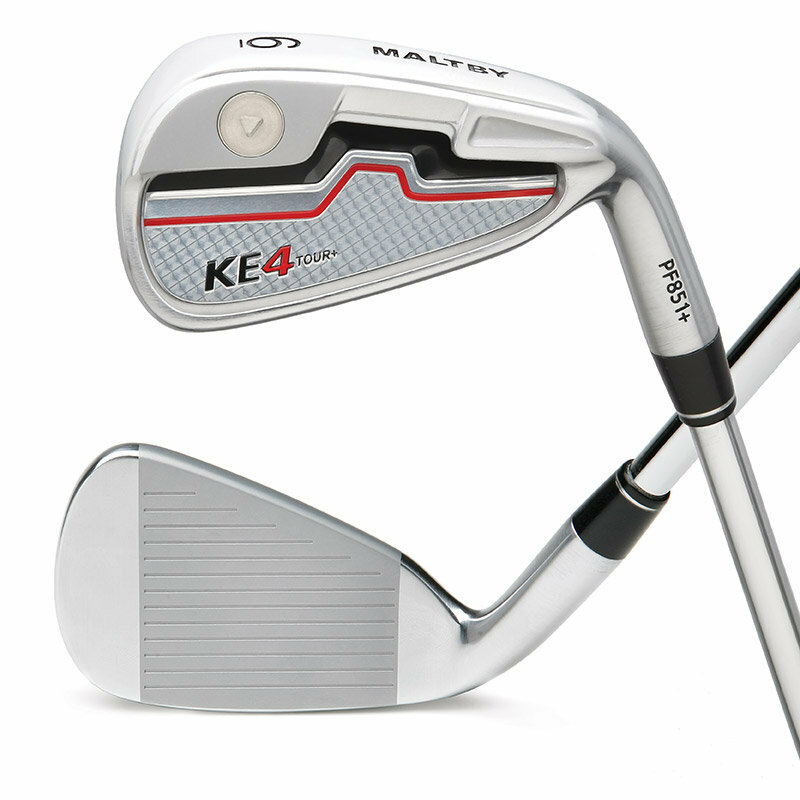 The Maltby KE4 Tour + irons have had a subtle redesign over the best selling original KE4 Tour 2012 version vaulting the iron head into the Ultra Game Improvement category. The finish and cosmetics have also been upgraded to produce one of the best looking irons in both the bag and at address ever introduced into the Maltby line. The toe weighting and undercut cavity correctly places more weight to the perimeter and rear of the club head increasing MOI (Moment of Inertia) and positioning the head mass for the best possible combination of feel and forgiveness. The KE4 Tour + irons come with a factory installed 6 gram toe weight but can adjusted in weight using the KE4 Screw System to allow for multiple shaft length and weight options. Additional 2, 4, 6, 8, 10, 12 and 14 gram weights are available.